What a great night. The atmosphere in the Beograd arena was electric. I think the variety of songs was extremely interesting, and everyone gave a great performance. Given that I am the kiss of death when it comes to predicting winners I was hoping that Charlotte would have done better for Sweden – but hey, I guess it was just a bit too old-school schlager music, and I’m showing my age! At least she got one of the biggest audience reactions in the arena – she looked chuffed… but must be disappointed to finish that low down in the rankings. As we’d expected, but didn’t want, Dima Bilan came through to take the title this year, so we’re off to Moscow next year. I don’t mind the song, but I just can’t stand watching it – since when is a bloomin’ skater pivotal to a song contest? Hey ho. The mood in the arena was very flat during the scoring – more excitement when Russia was given low marks – and it would have been great to have had a really close vote. In the end, after a good challenge from Ukraine (second place for the second year running) and Greece (which finished higher than I thought it would), Russia walked it and it was almost anti-climactic. I received a lot of texts last night – and I’m getting to the stage that it’s so expensive that I couldn’t reply to them all. That said, Ellen did say that Wogan was going mad! It’s not like he doesn’t to that EVERY year… might be enough to make him quit? To round off the night, and my first Eurovision adventure, we had tickets to the after show party, but like some of the others that we have been to in the Sava centre, the venue lacks atmosphere, and there were too many pouting people at it last night. As Karen and Milija had early flights we stayed for a while and the slipped away. I got to bed at 3.20am (normal time for me on Eurovision night) and I’ve had about 5 hours sleep… gotta get organised, do my packing, tidy the apartment and head home. Thanks for reading about my adventures in Belgrade for the last 8 days… I’ve had a blast, and I hope you’ve perhaps got a bit more out of your own Eurovision experience this year after tracking my movements in Serbia. Ok, so my last post before the post-mortem tomorrow! I have just returned from the last dress rehearsal, and there were no technical troubles, and everyone performed perfectly well. One poor backing dancer for Greece went ‘A’ over ‘T’ when they open what looks like a fold-out book during the performance. There is something to look out for with the Spanish entry, but I won’t spoil that for… and I’m not talking about the booing that it will receive with all those fans in the audience. And speaking of booing – wait until the Russian song from Dima Bilan (song 24) – it’ll be a battle between the teenage girls in the audience and the fans – the girls will go crazy, but for the fans and the press his behaviour and the somewhat pretentious performance may work against him tonight. I’m guessing the teenage girls might win that battle! Also, look out for Francis Tellier for France – very good performance and funny – not sure if the backing singers will be wearing look-alike wigs today, but we’ll see). Anyway, our last image of the day from the arena (can I really be going home tomorrow – good job that it’s a bank holiday as I’ll be shattered!). As is now the custom for the host nation, the Eurovision Song Contest will feature their winning act from the previous year, and this year Marija will open the show with a brief reprise of the winning song, Molitva (which is used that much during the proceedings of the broadcast that it almost sounds like a national anthem). So, when you see the above action it’s time to open that bottle of whatever you need to get yourself through the night, assemble the nibbles – and enjoy what should be an awesome show. Today will be a fantastic day for me – it’s the final of the ESC for goodness sake! However, it’s also going to be a bit surreal because I will not be at home, surrounded by my good friends, and doing what I have done every year since 1990. Yes, for the past 17 years I have organised a Eurovision party – at home, in the Rose Theatre, with over 50 people some years to just three or four people in others. And for many of those years there have been people without whom the Eurovision experience would be unimaginable. There is a long list of people who I can name check at this point, and who travel long distances to come to my ESC party (Jonathan, Julie, Fromo, Denny). However, I’m only going to make special mention of my best mate and Eurovision partner in crime, Rachel. Normally we would have the champagne on ice by now and be working ourselves up into a frenzy for tonight. Unusually, I’m here in Belgrade, and Rachel and Co. are making their way to Crete for a family holiday. Funny how things work-out! So, tonight I will have an awesome time, but it would be totally awesome if Rachel was there with me… and who know, maybe next year she might be. Oh, and early warning the final is on 16 May 2009… will we be in Lisbon????? If you are having a party tonight (which I know some of you are) have a fabulous time. Joanna, have a great time at Merryll’s party, and all of you be sure to jump up and down for Sweden, Bosnia, Iceland and Israel (well, not so much jumping up and down for that one). And remember this is one night when the ‘always drink responsibly’ seems slightly inappropriate!! The really strange thing is that alcohol is not being sold in the arena tonight because a woman took all her clothes off the other night! Such is the weird and wonderful world of Eurovision. 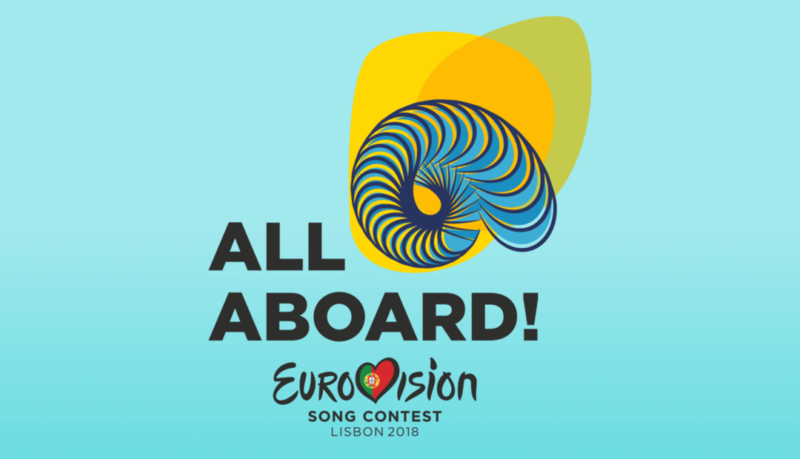 Can I offer you an observation and some advice ahead of tonight – especially if you are going to watch the ESC with small children (or older children who should know better!)? I have a feeling… a lot of us have a feeling that the small children of Europe are going to use their pester-power, or their own mobile phones to vote for a song which would not be out of place in either childrens’ television or as we heard in an earlier post – Butlins. There is a new energy around here today because we’ve got the preliminary part of the ESC over, and we can now focus on who is actually going to win this bloomin’ thing. After being here for almost a week I’m not sure I can call it. There’s no way I’d have put Portugal in the mix, but following a great job in the semis it would appear to be the one to watch… still got good odds at 28/1. I went to the arena today to watch the first rehearsal of the final. The auditorium was more busy that it has been at any previous rehearsal, which is to be expected as for the first time the ‘big four’ (UK, France, Germany, Spain) and host country Serbia were performing – and also people will be judging all the songs against each other from here on in. I was up early (again) to do two follow-up interviews with Radio Lancashire and citytalk.fm. Both went OK. BBC radio 5 Live had also requested an interview – but at 6.50am local time (that’s 5.50am your time). Let’s put it this way, with everything that I’ve done this week I couldn’t quite fit that in! Also, I was contacted by BBC Northwest Tonight to do a live satellite link-up from Belgrade as their final story of the week, but they didn’t have enough money to pay for Sputnick! Boaz for Israel continues to impress. Amongst all the hyperactivity there is in this competition this year, Boaz is an oasis of calm. At times when I watch the song it does make me feel quite emotional… I really hope he does well – it’s not going to win… too many other big guns, I think. Sirusho is still belting out ‘Quele, Quele’ with an infectious energy. It’ll do very well for Armenia, but there are too many girls doing the same thing this year – and there seems to be only Ani Lorak (Ukraine) who is noticeable because of that awesome choreography. Perhaps there is such a thing as too much Eurovision! So how many did you get correct from the qualifiers last night? The ‘eurovision experts’ here in Belgrade averaged 6/10 which is a little down on our success rate the other night – but then again when they revealed that Croatia had made it to the final before they announced Charlotte Perrelli I was as nervous as I was watching the Champions’ League penalty shoot-out (BTW: nice one Man U!). So, here are our final 25 songs… Iceland at 100-1 with the bookies today would seem like a good each-way bet? Serbia is drifting in the odds, as are Armenia, whilst Sweden and Bosnia continue to rise. Look out for this performer during the start of the semi-final … funny to see the guy inside! And perhaps the most important performer in the semi-finals or the final…. THE WIND MACHINE! Day 5 in Belgrade (Wednesday) brought with it the first rehearsal of the second semi-final. Ask anyone in these parts and they’ll tell you that this is more competitive than the first, and the more difficult to call. I was really looking forward to this semi-final as it has a really strong opening, with the first four songs seeming like sure qualifiers – Iceland, Sweden, Turkey, Ukraine. Many of my friends know that I’ve been gushing about the Swedish entry since February (as has pretty much every Euro-fan on the planet), before Charlotte Perrelli won the Melodifestivalen to represent her country. Look on my iTunes alone and I’ve listened to it over 150 times! So, with eager anticipation the dress rehearsal got under way at 1500hrs local time (1400hrs UK time). The arena was busier than it was for the previous rehearsals, due perhaps to the added interest in this group of songs. Technically a better rehearsal, and on performance alone the first four songs did not disappoint (although Charlotte wasn’t going at it full throttle – and why should she, it’s the dress rehearsal). Karen and Milija Albania YES!, Phil NO! Phil Latvia YES!, Karen and Milija NO! Phil and Karen Georgia YES!, Milija NO! Phil and Karen Malta YES!, Milija NO! Milija Cyprus YES! Phil and Karen NO! Milija Portugal YES! Phil and Karen NO! As I told you the other day, Karen and I were filmed for Irish television news which was broadcast last night (Tuesday). We’ve heard the amusing news that whilst Karen was very well received for her comment and journalistic insight into ESC2008, I was mistaken for a singer performing for an unknown country! Now that’s hilarious!